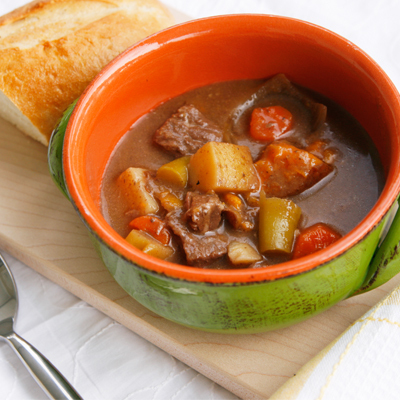 This Slow Cooker Beef and Veggie Stew has a faint French onion-ness to the broth that’s also flavored with roasted garlic. FIlled with beef, vegetables and potatoes, it’s delightful. When you plan your meals ahead of time, the evening goes much smoother. It becomes simpler to just finish up whatever you need to (work, laundry, whatever) and then move into a speedy dinner prep. Unfortunately, I fell back into bad habits recently and wasn’t planning dinners. Heck, I wasn’t even thinking about dinner … until it was time to make it. We consumed a lot of pasta. It was really chaotic, and I hate chaos. But I am working on it (we’re on day five of planning success!). Honestly, the stress of having dinner roll around without a plan is something I don’t need. No one needs it. And it’s just too easy to skirt the issue with a little bit of planning. The slow cooker really comes in handy. It’s just so simple. You toss the ingredients in early in the morning and then when dinnertime rolls around, you have a hot, ready to go dinner. 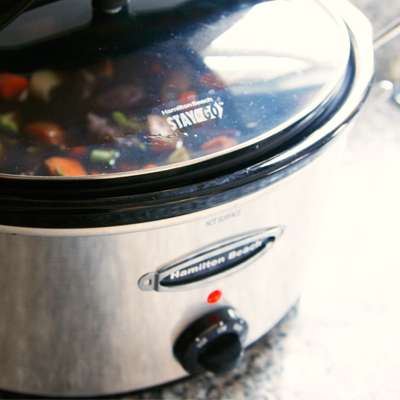 If you are struggling with dinners, you should totally get your slow cooker out and give it a shot. Having this stew bubbling away the other afternoon provided such sweet peace of mind so that I could focus on what I needed to without stressing over what I would toss together for dinner. 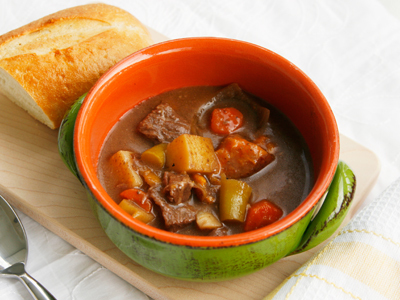 Oh, and this Slow Cooker Beef and Veggie Stew is a great dish to re-start your slow cooking adventures with. This stew has a faint French onion-ness to the broth, but not so much that onion haters will balk (and the onion pieces are big so they can pick ’em out anyway). And the roasted garlic adds dimension to the broth. 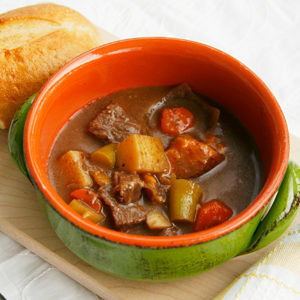 The slow cooking blends the flavors as it renders the stew meat completely fall-apart tender. The vegetables – carrots, broccoli stems, potatoes and sweet potatoes – give the stew bulk so that it fills you up. Did you catch that it has broccoli stems. Stems! The part that no one loves to eat. I keep stems in my freezer for using in recipes like this. And honestly, after slow cooking the stems for so long, the kids and I really enjoyed them in this stew. It was an unexpected but welcome element. Eat this with a slice of buttered bread. Just divine. Combine all of the ingredients except the flour in the bowl of the slow cooker. Stir gently. Cover and cook on low for 10-12 hours. 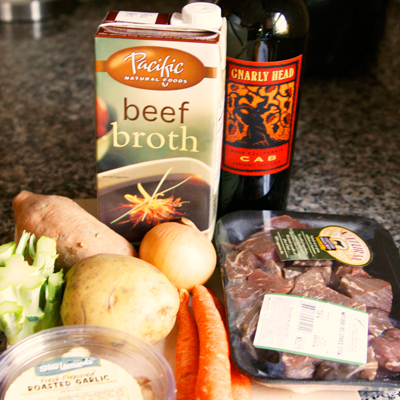 Remove a ladle of broth from the stew to a container with a cover and add flour (2 tbsp to start). Cover and shake vigorously until combined. Stir into the stew. Repeat until you reach desired thickness. Serve immediately. Leftovers can be stored in an airtight container in the fridge for up to five days. I’m a huge fan of meal planning. I think the hardest part about making dinner is figuring out what to make when you’re tired and hungry! I know, right? That usually ends up with a really poor eating decision too. I have the same crockpot! 🙂 This looks so hearty and delicious. 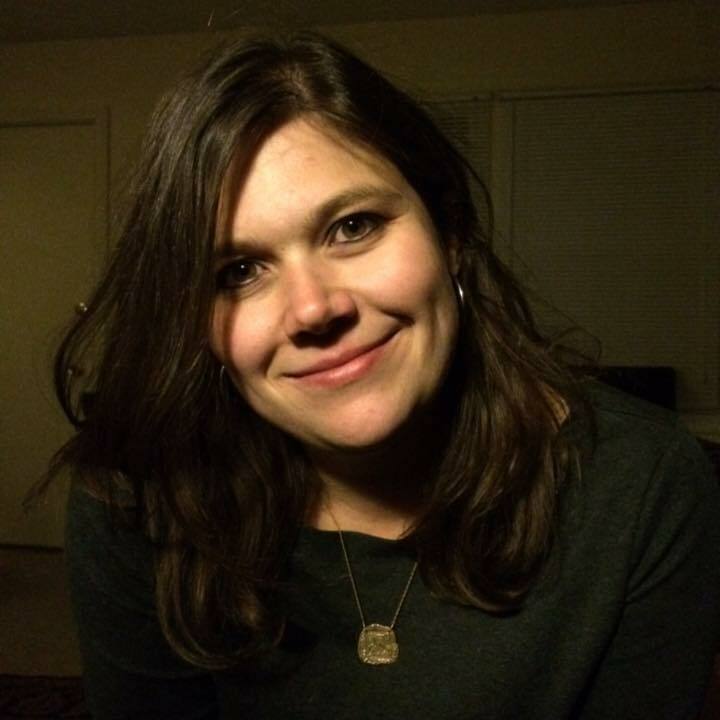 Ha! I love that slow cooker. My old one would only cook on high (no matter what you set it to) … this one is so reliable.